Internet domain registrar and web hosting company GoDaddy Inc on Tuesday announced its one of the biggest association with the International Cricket Council (ICC) as the official sponsor of the 12th ICC Men’s Cricket World Cup 2019 that begins in May, 2019. “We hope to reach the 700 million folks of India and beyond through the partnership. Two-thirds of the world, including India, watch cricket and through this collaboration we’d get a huge visibility,” Nikhil Arora, Managing Director and Vice-President, GoDaddy India, told IANS. 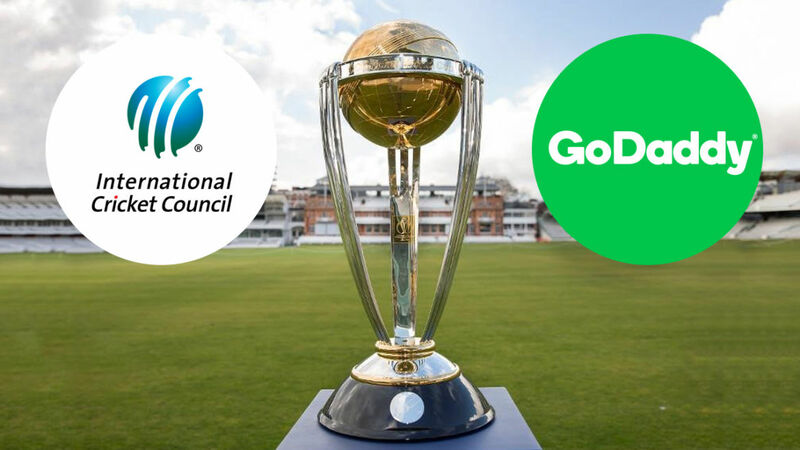 GoDaddy has become an official partner for the ICC World Cup 2019, to be played in England and Wales from May 20 to July 14 this year. As per the market experts and commentators estimate the size of GoDaddy’s sponsorship deal to be $2-3 million. Notably, this is the company’s first sponsorship deal with the global sports event, scheduled to be hosted by England and Wales between May and July. “Cricket in India is a favourite sport. It is viewed in every nook and corner of our country, thus, giving GoDaddy an opportunity to reach our audiences, including in the tier-II and tier-III cities, while also helping entrepreneurs and small business owners bring their ideas to life online,” Arora said. The web hosting provider would have on-ground presence that includes the perimeter of the ground, side-screen and LEDs at the stadium under the partnership. “We are excited to partner with GoDaddy for the Cricket World Cup 2019. GoDaddy has, for a long time, been an active supporter of sports in India and has successfully leveraged the influence of sports to empower and inspire entrepreneurs,” said Campbell Jamieson, General Manager, Commercial, at the International Cricket Council. GoDaddy, which started its Indian operations back in 2012, offers an integrated suite of products for small business owners and entrepreneurs that range from domain names, hosting, website building, email marketing, security and e-commerce. The company also offers 24 hours a day and 7 days a week customer support locally to help and enable customers in the growth of their business and to find the tools that best meet their requirements which help them to expand.